KENNEDY SPACE CENTER, FL – The skies are clear at the moment for today’s, April 14, second attempt to launch the SpaceX Falcon 9 rocket and Dragon resupply capsule on a critical mission for science bound for the International Space Station (ISS) and a bold effort to land the boosters first stage on a tiny barge in the vast expanse of the Atlantic Ocean. 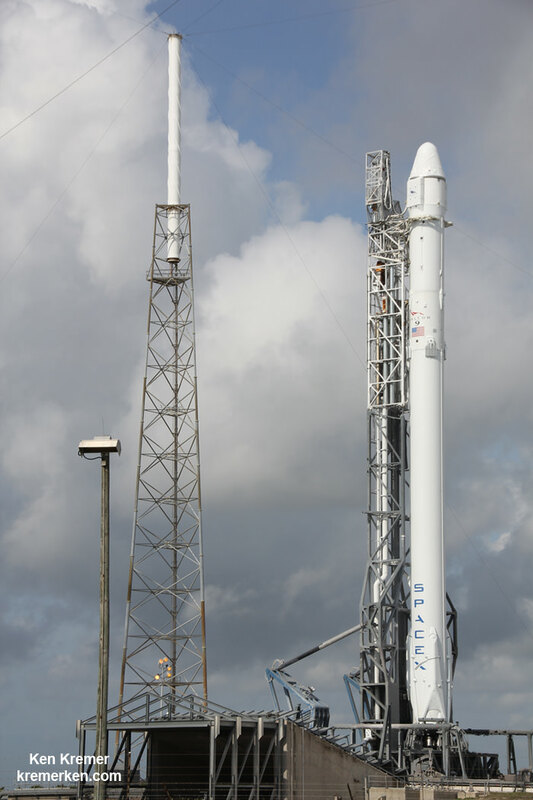 The first attempt to launch the rocket and CRS-6 Dragon cargo capsule on Monday, April 13, was scrubbed just about three minutes before the scheduled blastoff at approximately 4:33 p.m. EDT from Space Launch Complex 40 at Cape Canaveral Air Force Station in Florida, due to a violation of the launch weather constraints. 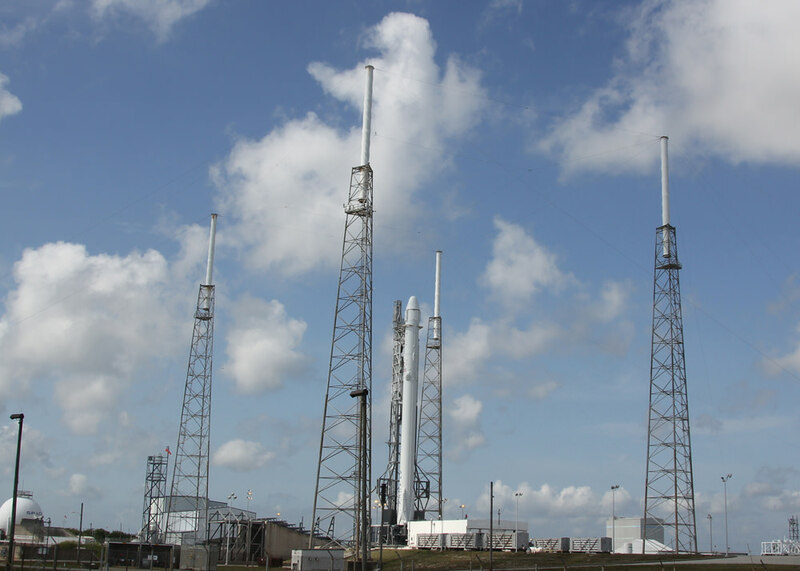 Today’s second liftoff attempt 24 hours later, is slated for approximately 4:10 p.m. from SLC-41. The launch window is instantaneous, meaning that the rocket must liftoff at the precisely appointed time. Any delays like on Monday due to weather or technical factors will force a scrub. Another delay would likely result in at least a 48 hour scrub. 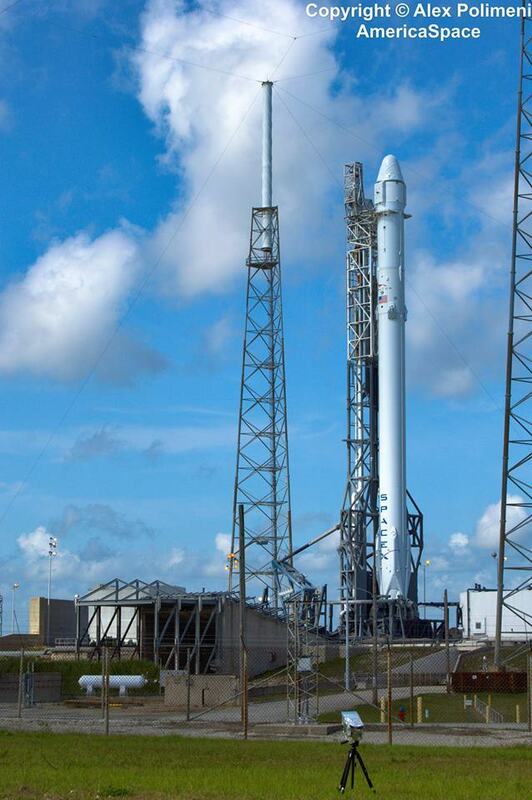 U.S. Air Force weather forecasters from the 45th Weather Squadron currently rate the chances of favorable conditions at launch time as 60 percent GO for liftoff of the sixth SpaceX commercial resupply services mission (CRS-6) to the ISS. That’s the same as Monday’s launch attempt. Air Force meteorologists will be watching for storms or thick clouds moving close to the launch site, as happened in the final hour prior to Monday’s try.